Unlimited Downloads to our VIP Members - From PNB Guides, Proforma Statements, Userbars and more - we have it all. Browse our Downloads today. 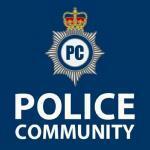 Read some great stories of Police Officers and Special Constables to find their blogs on "What I Did On Duty". Our own members are also encouraged to post blog entries, and to give details of their experiences of policing in this section. Funny, dramatic, frustrating or mundane - This is your chance to give other members an insight into what you do day to day, and to read more about what your colleagues do in other specialisms and across the country. We have a lot of members carrying out a wide range of roles, so we should be able to read some candid insights into the whole spectrum of policing. Think of it as a communal anonymous blog! A rich resource of information regarding joining the police service, competencies, interviews and more.